Boston heavy metallers Godsmack have announced a 2015 U.S. spring headlining tour in conjunction with their festival appearances. The trek kicks off on March 17 at the Pot of Gold Festival in Tempe, AZ and wraps up at Rocklahoma in Pryor, OK on May 22. Support for the tour will be provided by Papa Roach, Hellyeah, In This Moment, and Within Reason all on select dates. In an exclusive interview with TheRockRevival.com back in December, frontman Sully Erna said that the band was gearing up for a busy spring and summer in 2015. 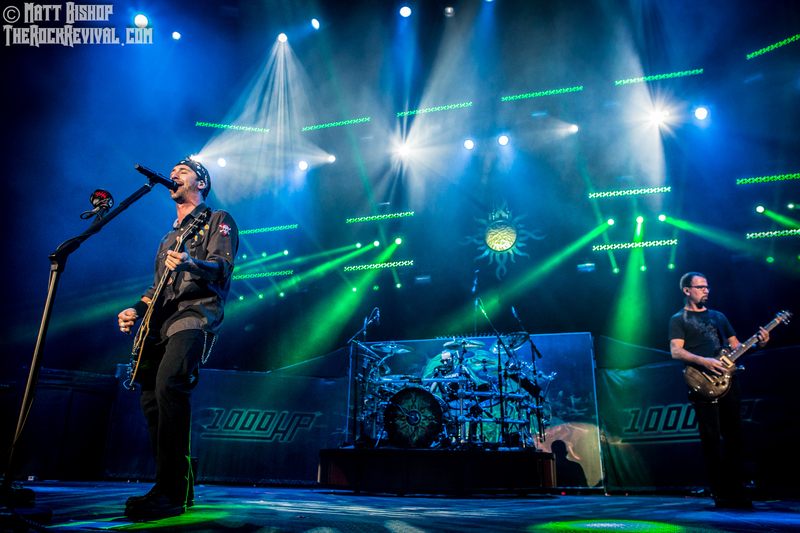 Godsmack are touring in support of their new album 1000HP, which was released back in August. The new disc is the long awaited follow-up to the band’s 2010 gold-certified The Oracle and it debuted at #3 on the Billboard Top 200, #2 on Billboard Rock, and #1 on Billboard Hard Rock via Universal Republic Records. The title track and lead single has been dominating rock radio since June. The band recently released the disc’s second single “Something Different”. Tagged 1000hp, Godsmack, godsmack 2015 tour, godsmack headlining tour, godsmack spring tour, godsmack tour dates, heavy metal, hellyeah, In This Moment, Papa Roach, rock music, rock revival, sully erna interview, TheRockRevival.com, universal republic records.